Quite costly genuine leather purse......except for the straps. 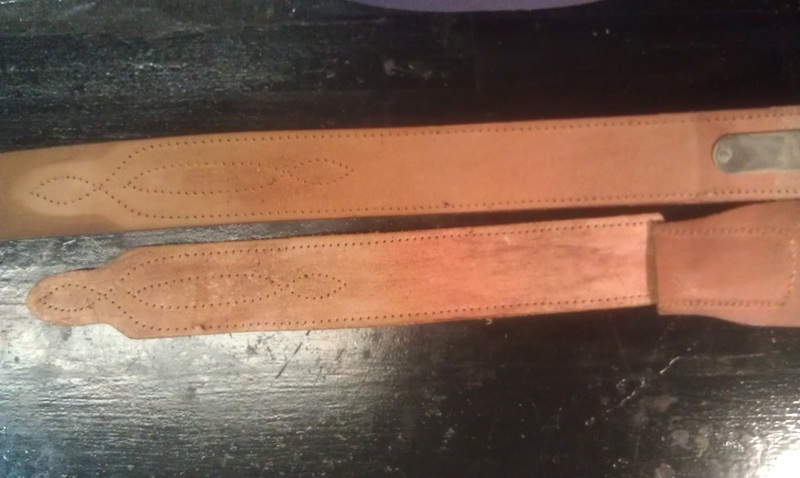 Top row on the right shows the new straps made of genuine leather. 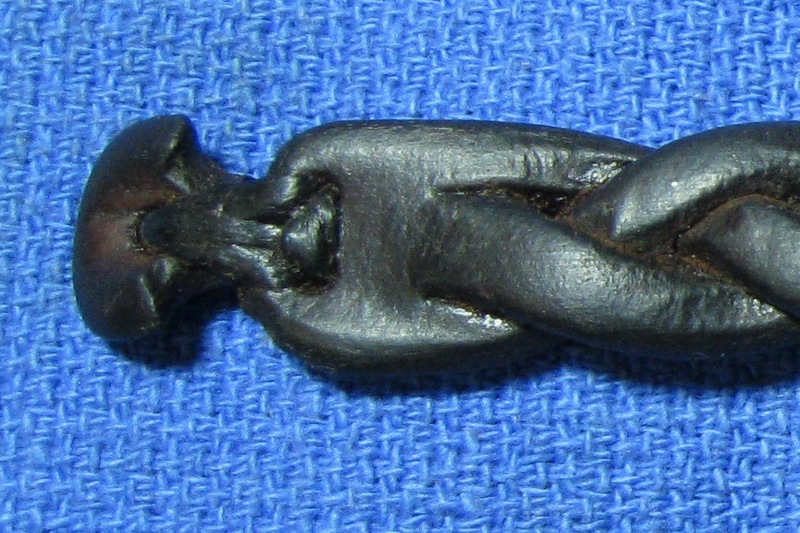 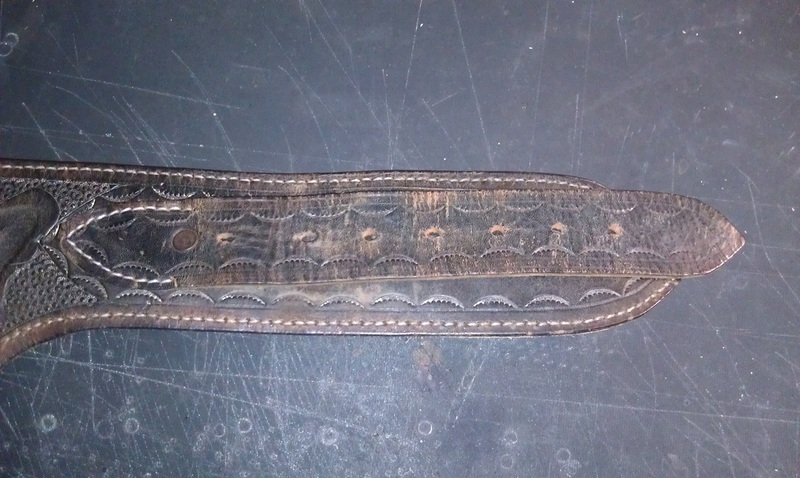 Anne purchased this leather bracelet in NY and had not removed it from her arm for a year resulting in the leather dry rotting. 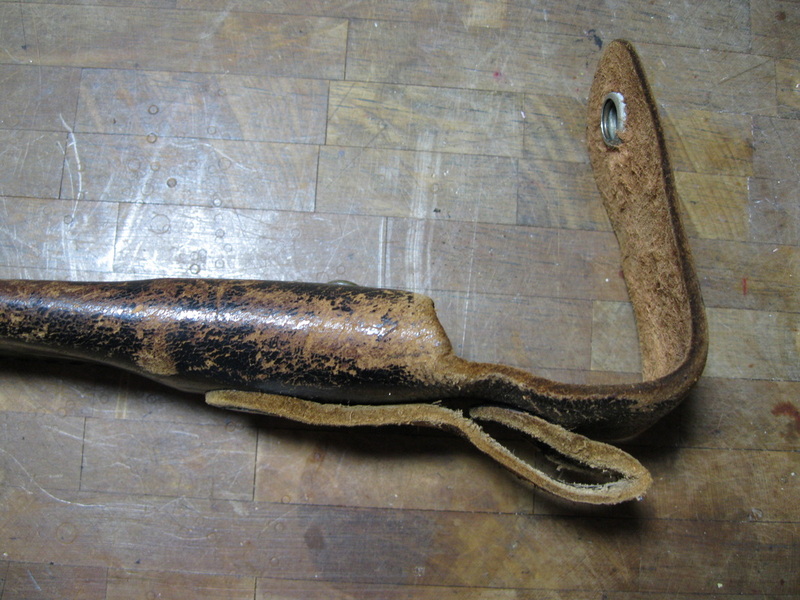 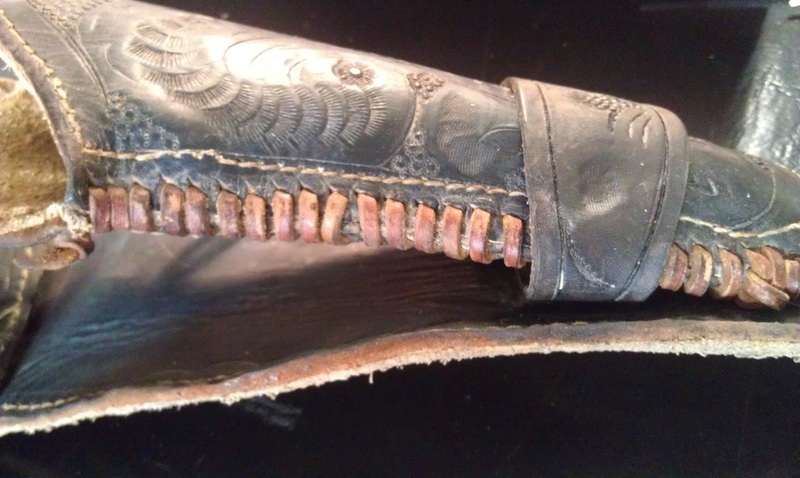 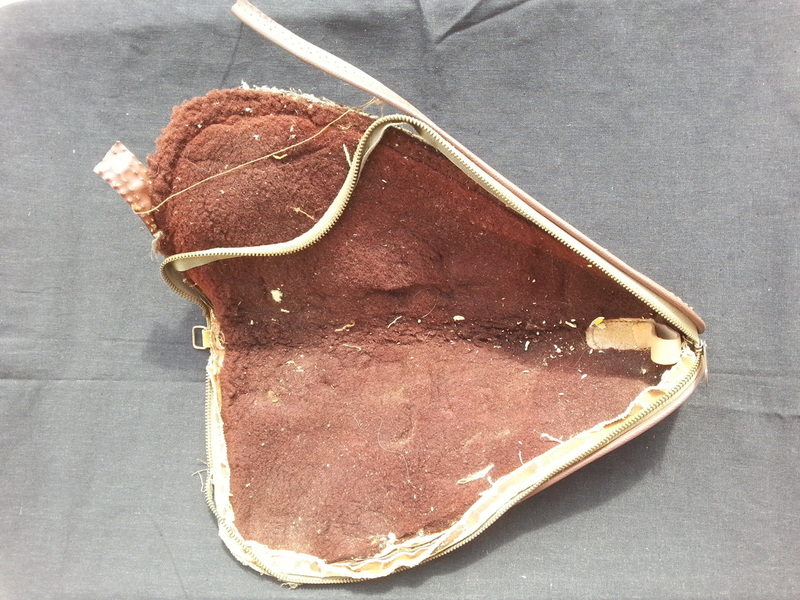 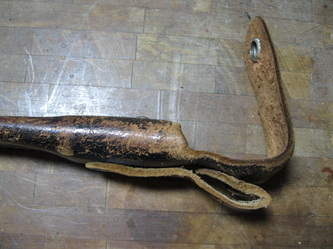 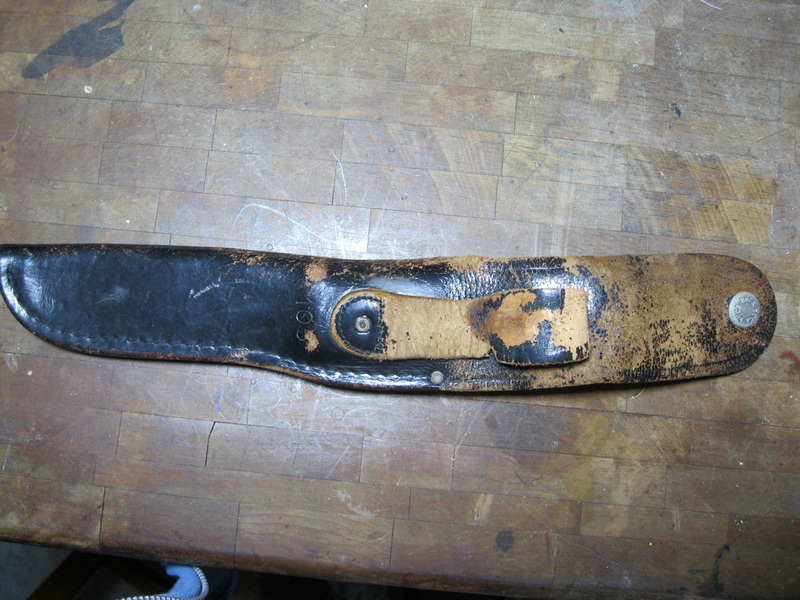 The sterling silver piece was removed and placed on a new strip of leather and snaps attached. 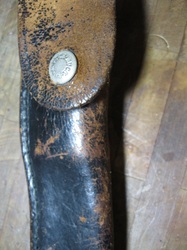 A lady had inherited her father's knife. 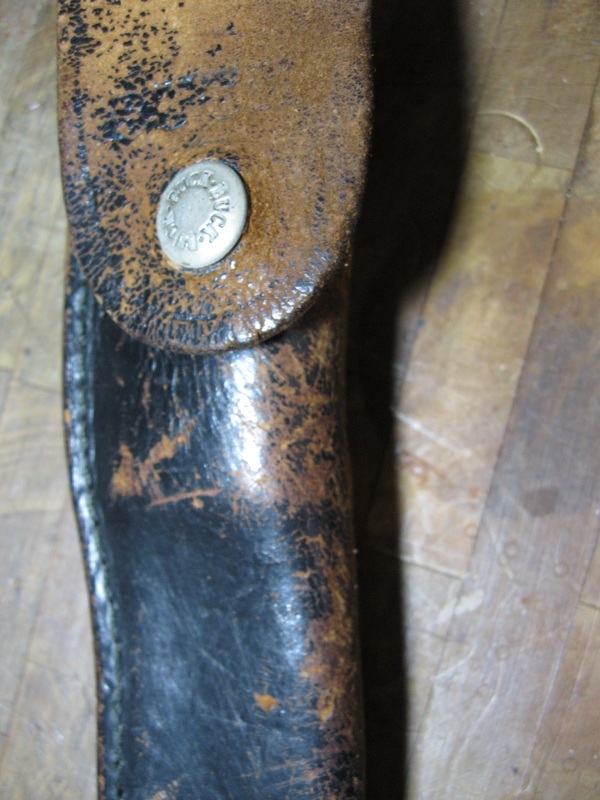 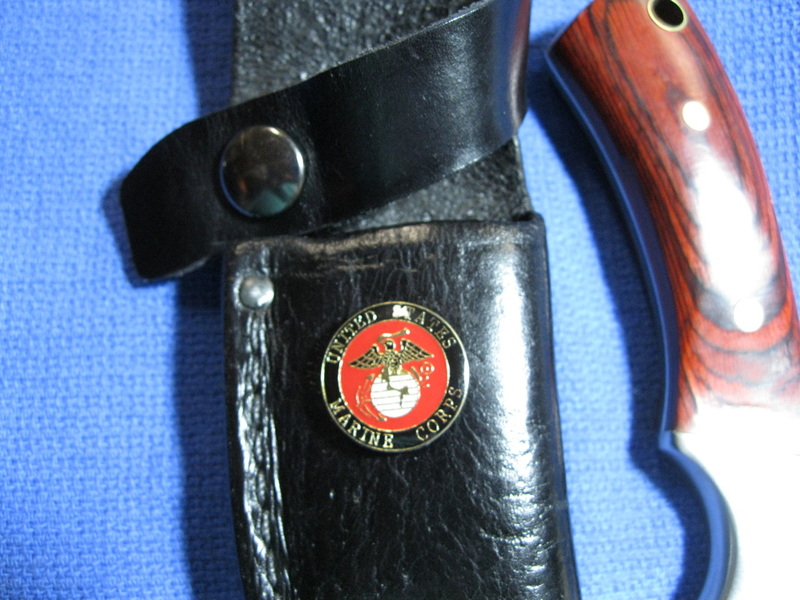 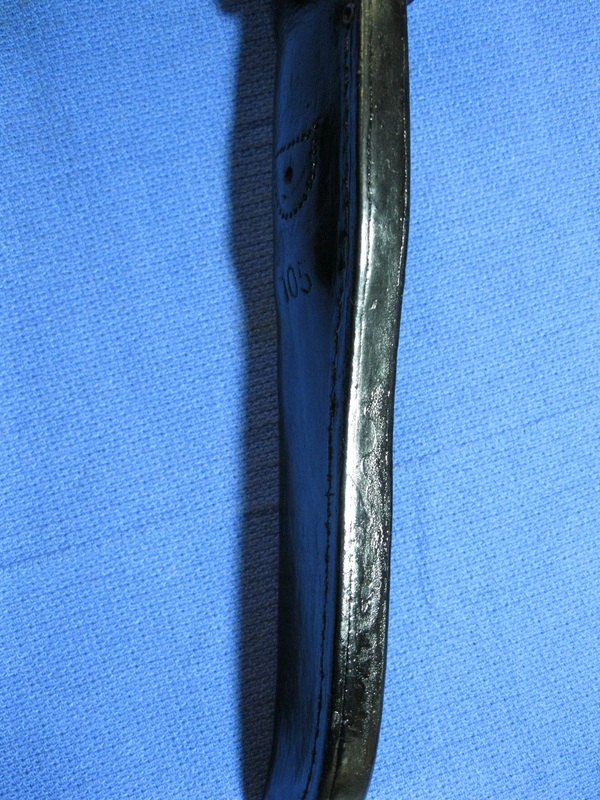 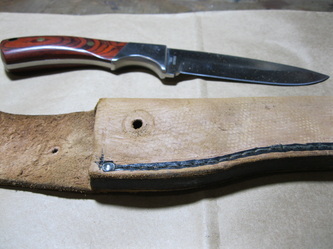 Her husband wanted the broken strap replaced so that he could present her the knife and repaired sheath at Christmas. 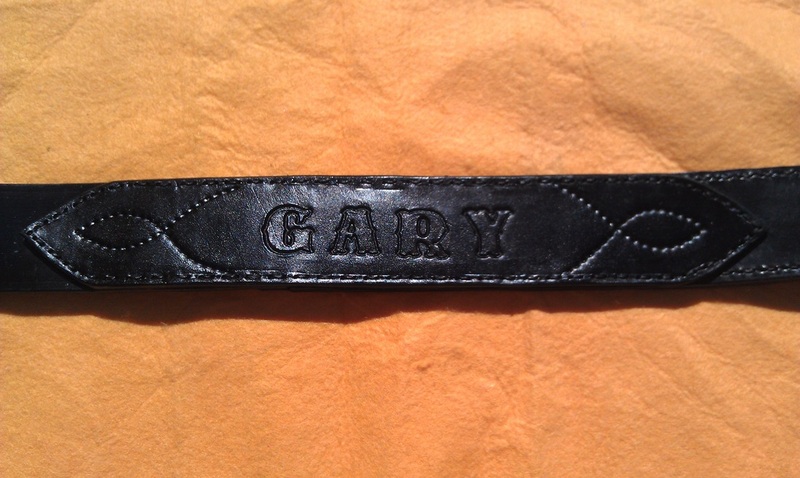 He asked that the back be engraved as seen in the photo. 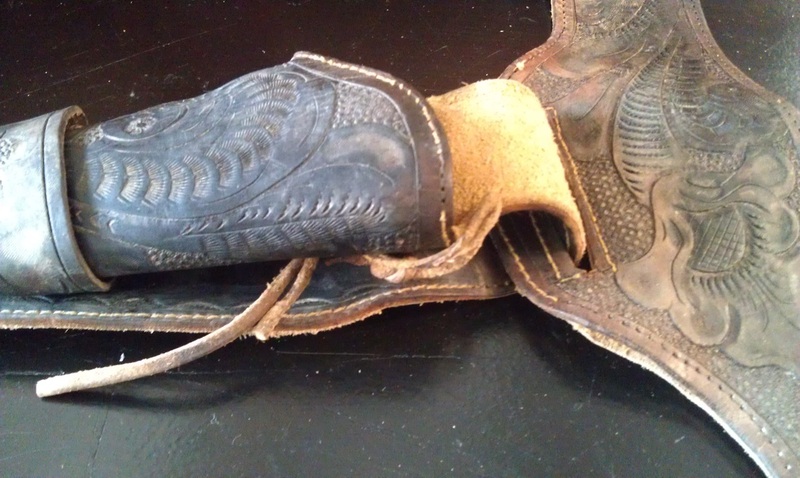 This rig is used daily by a working cowboy. 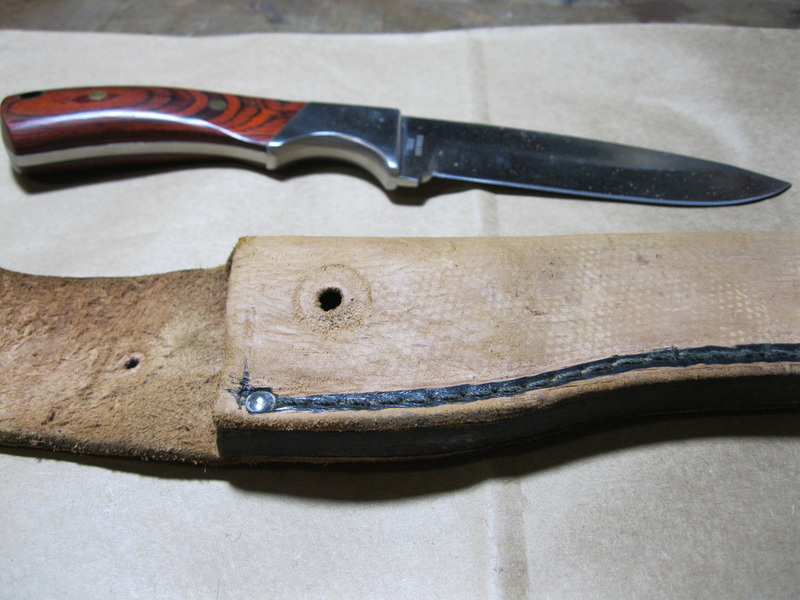 It needed a complete overhaul. 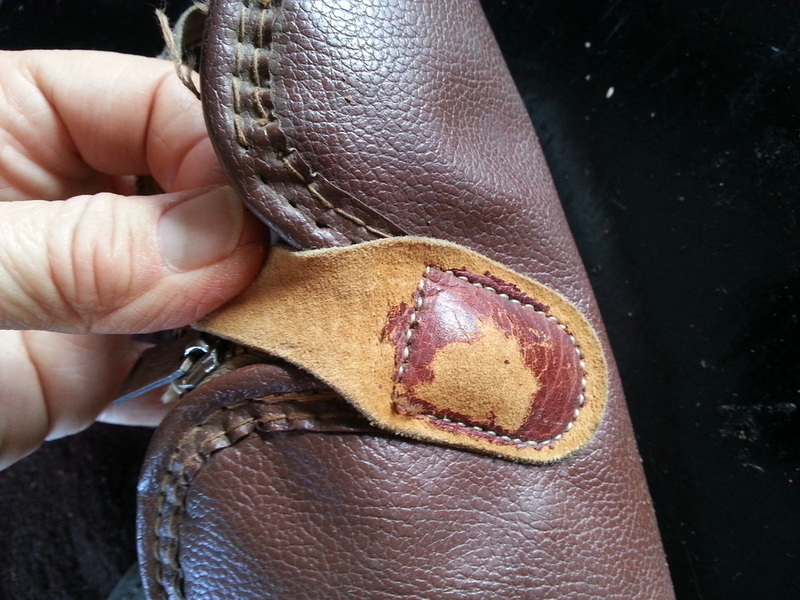 All of the original pieces were cleaned, dyed and reconditioned except for the stitching which was removed and replaced by hand stitching. 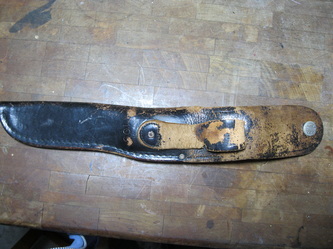 A security belt worn many years ago needed to be enlarged. 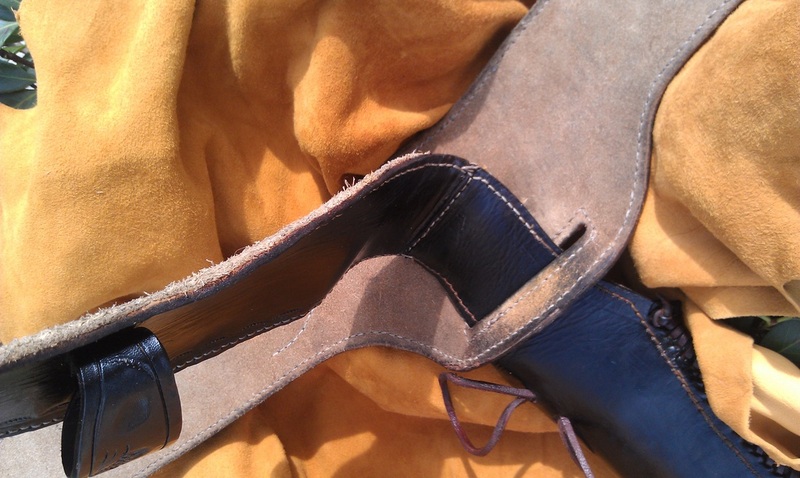 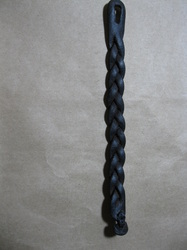 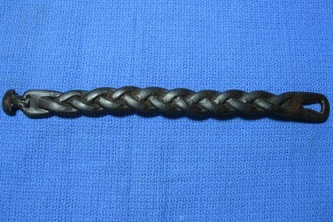 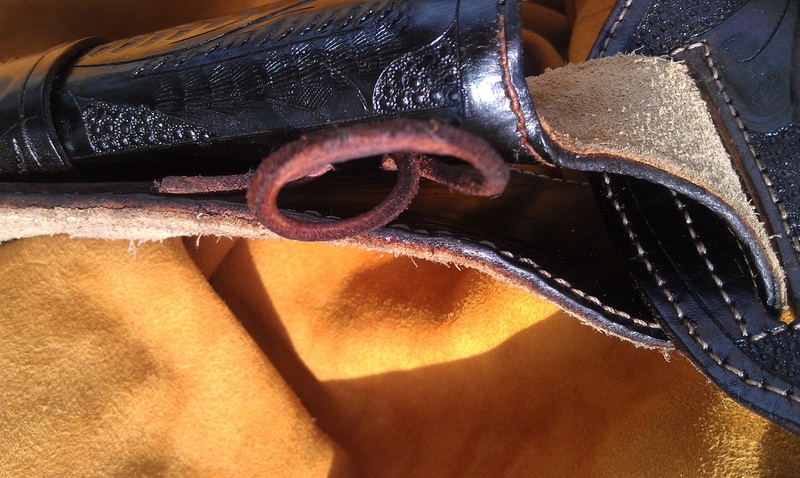 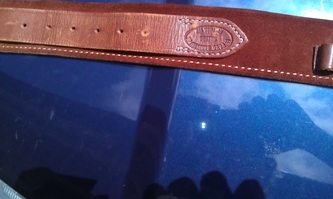 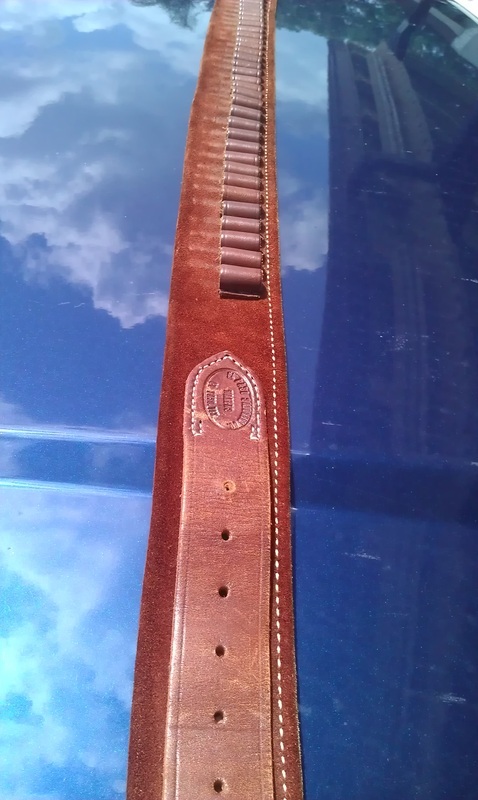 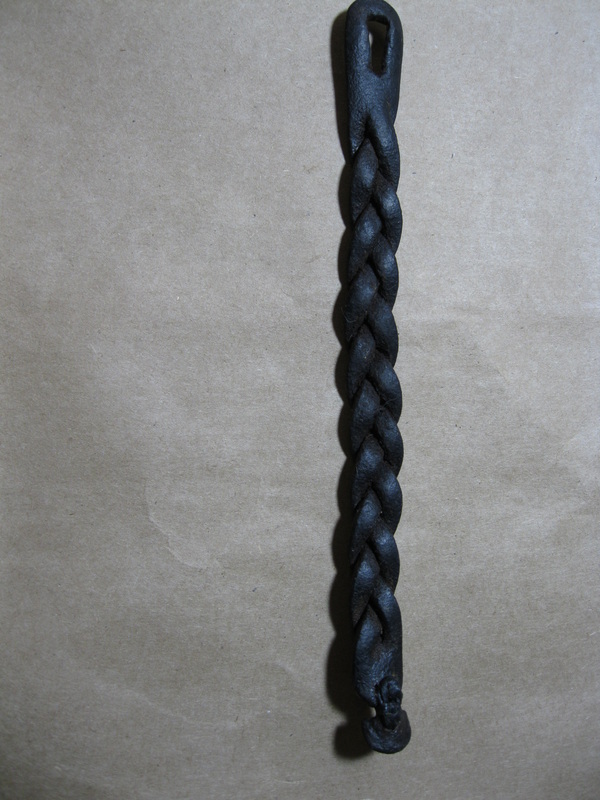 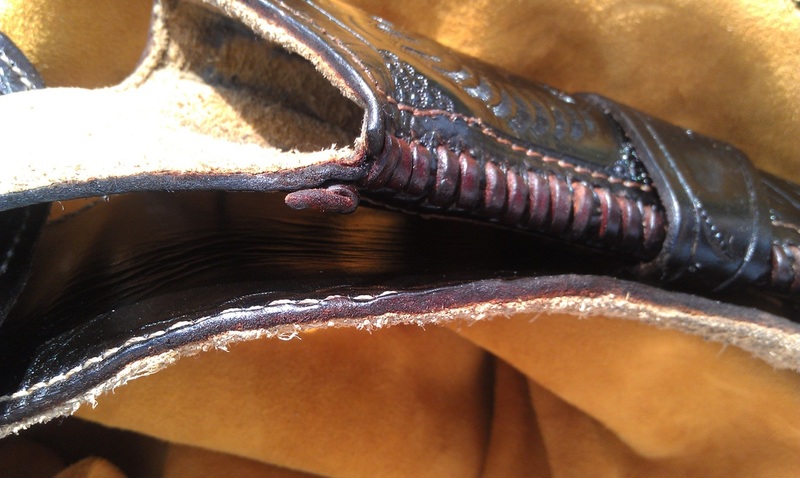 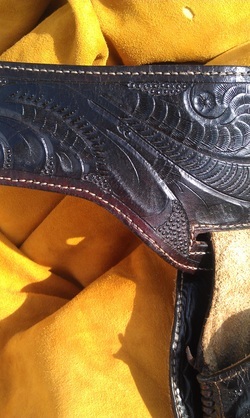 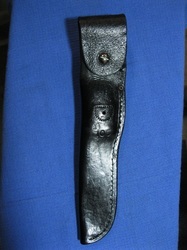 Another piece of leather was added to attain the desired length. 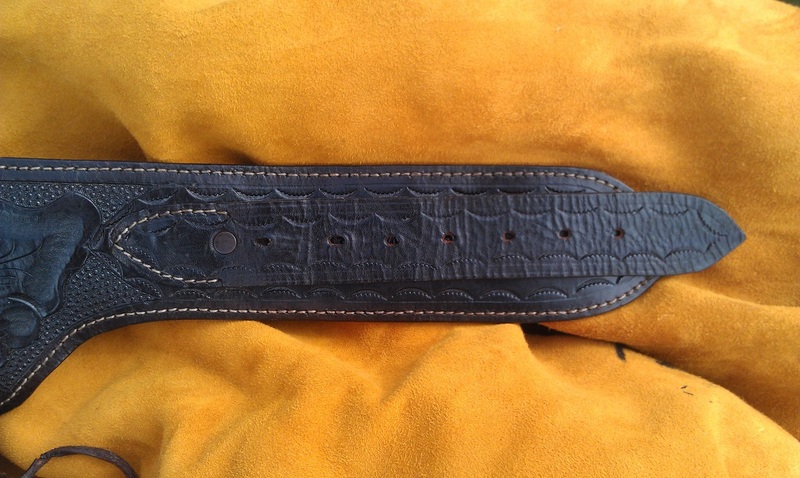 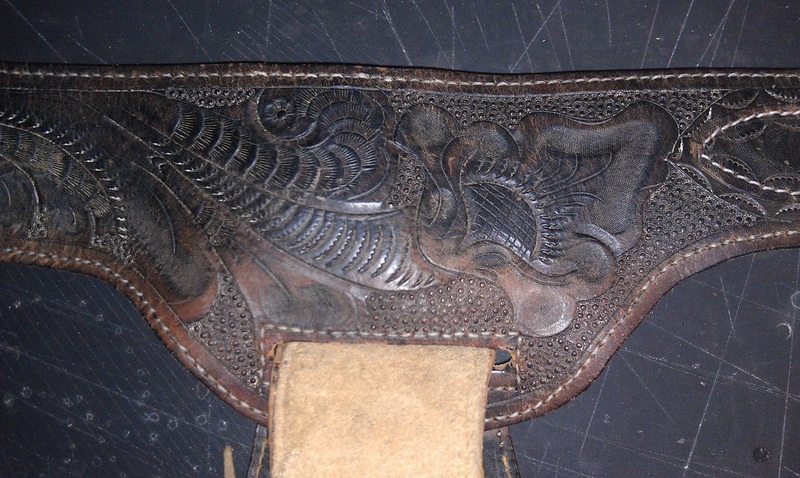 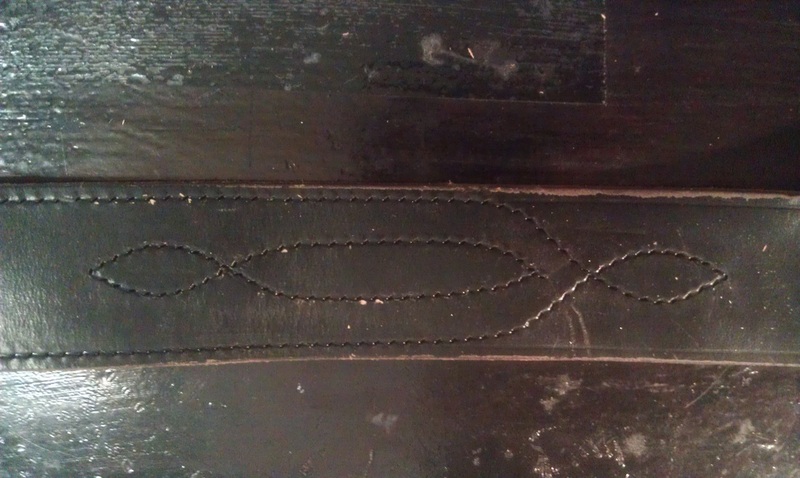 The pattern on the belt was incorporated on the extension to draw the entire piece together. 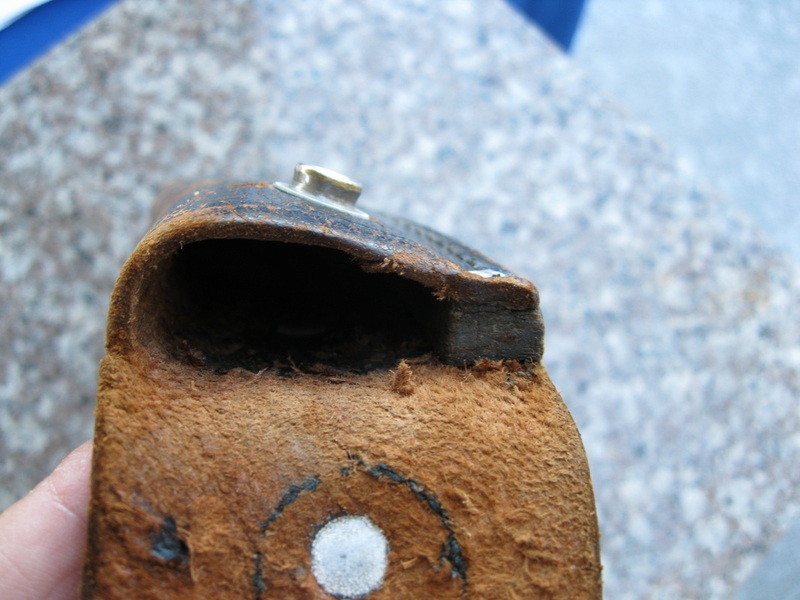 The sewn-on belt tip was removed, shortened and reattached . 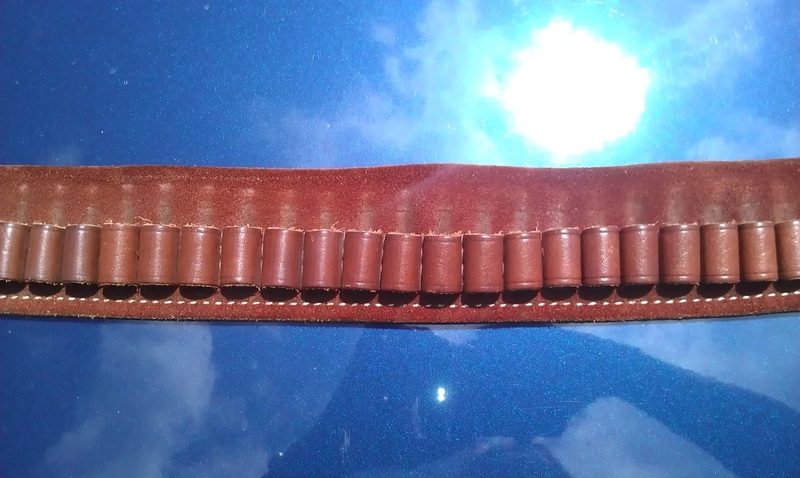 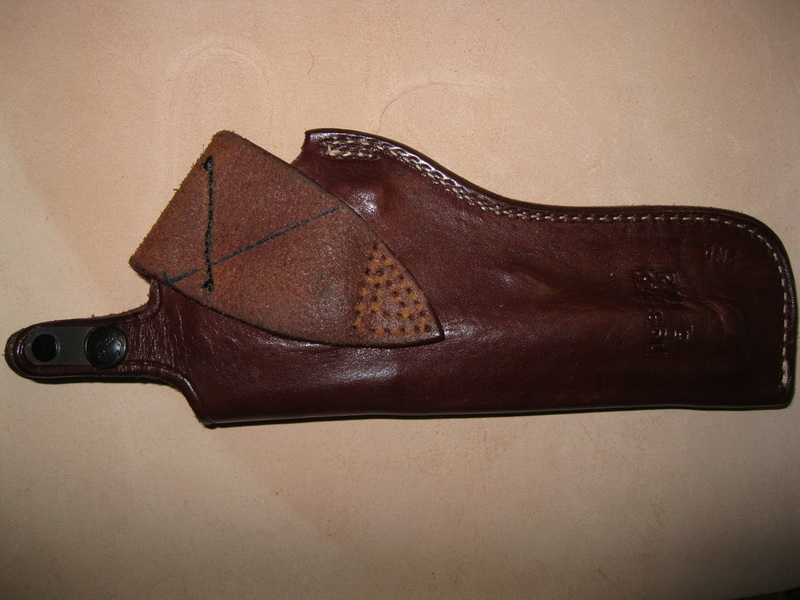 The belt loop on this holster was removed and replaced with a loop to accommodate a 3" belt. 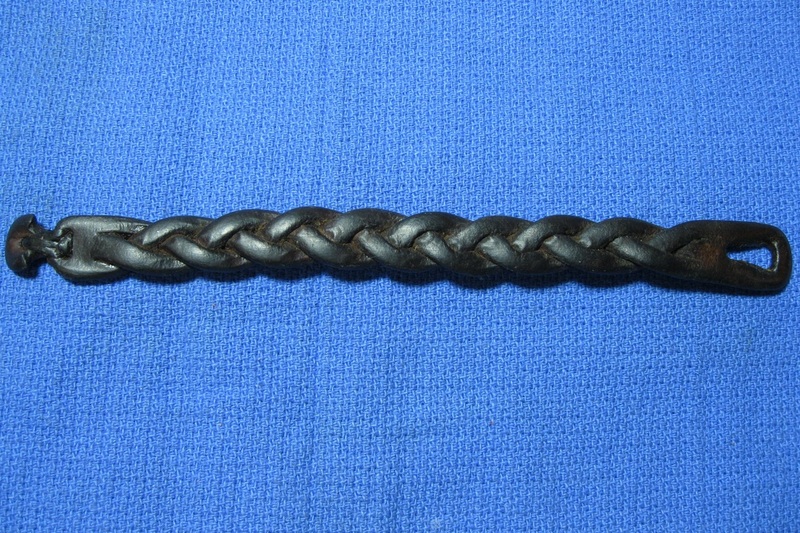 This bracelet/arm band is over 30 years old. The tab/latch was worn through and had separated from the bracelet. After cleaning, reconditioning and dying all parts, the original tab was reattached as shown. 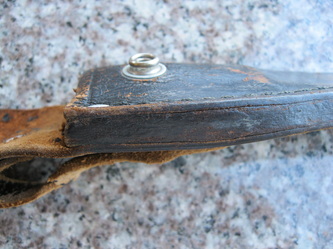 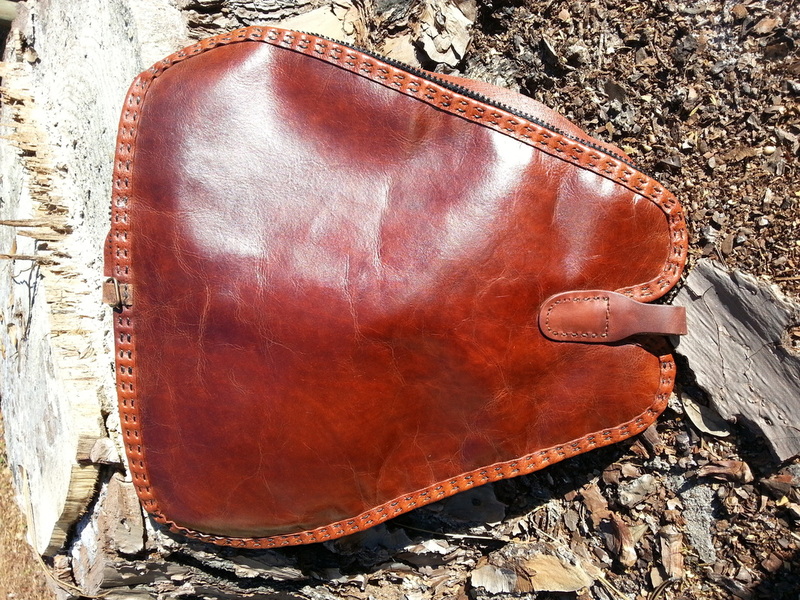 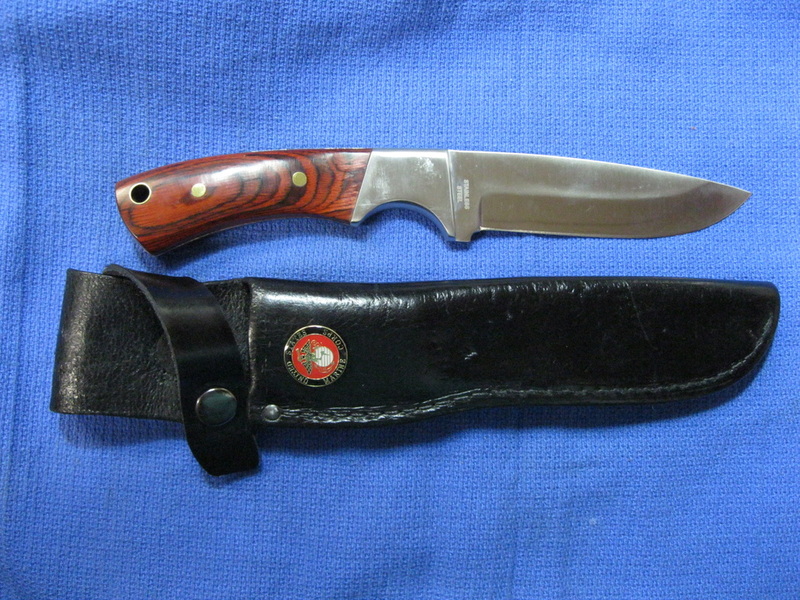 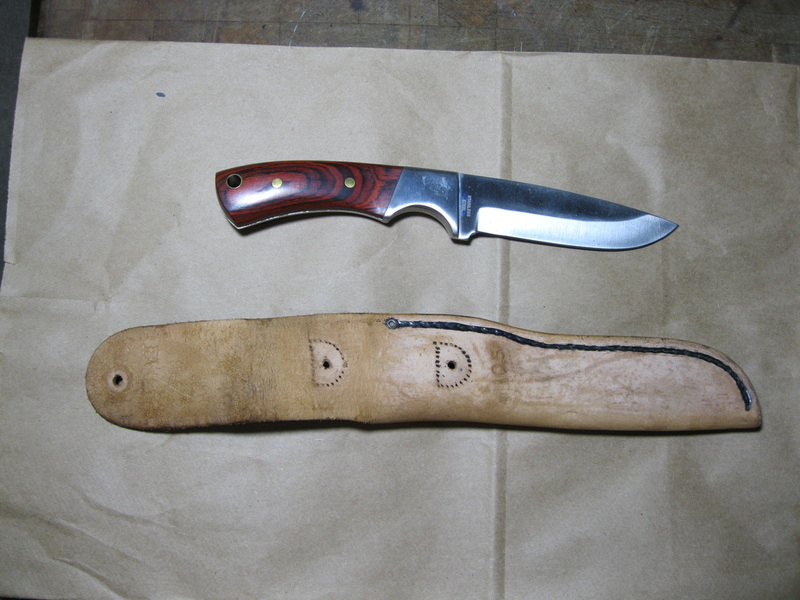 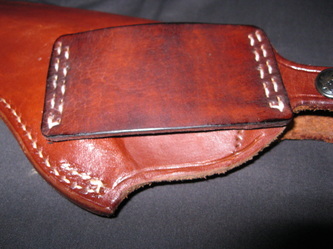 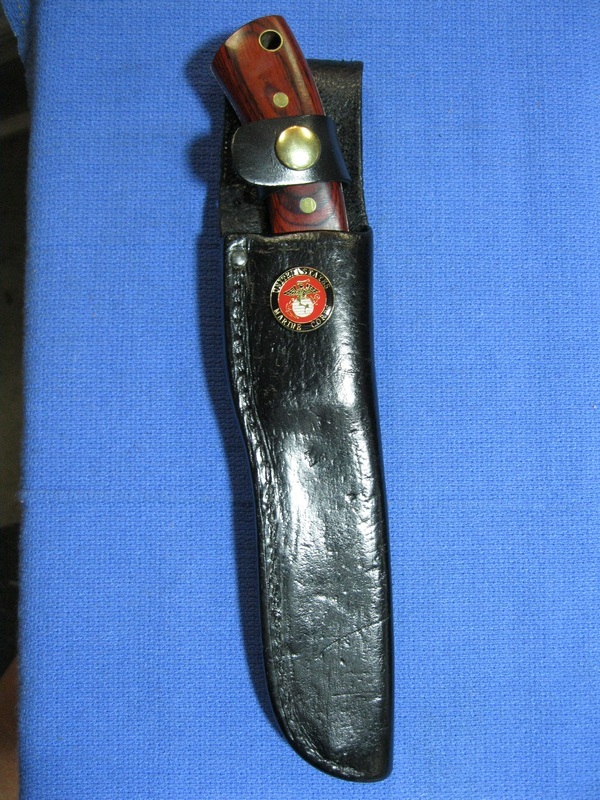 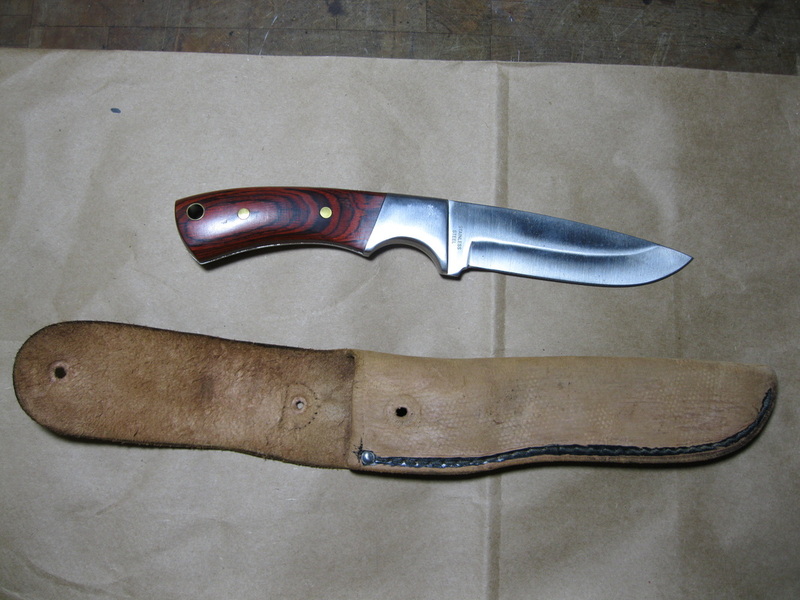 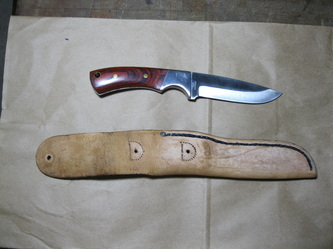 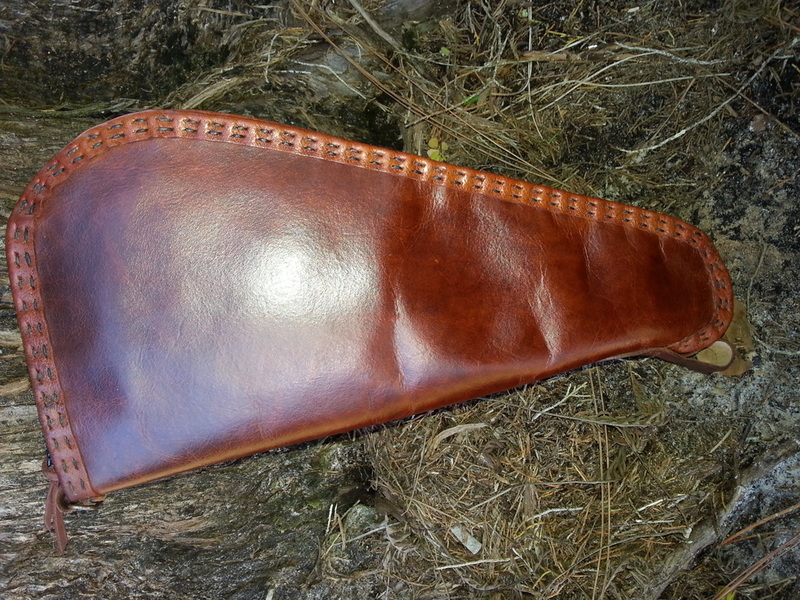 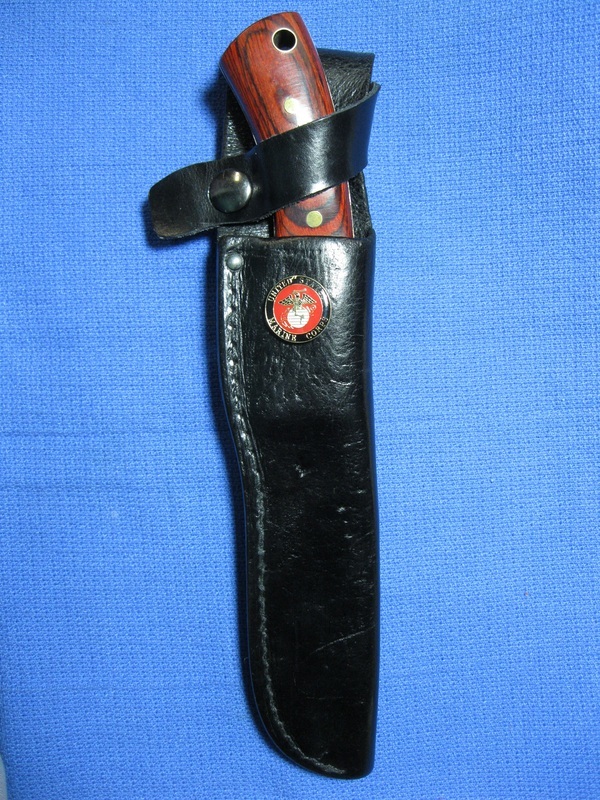 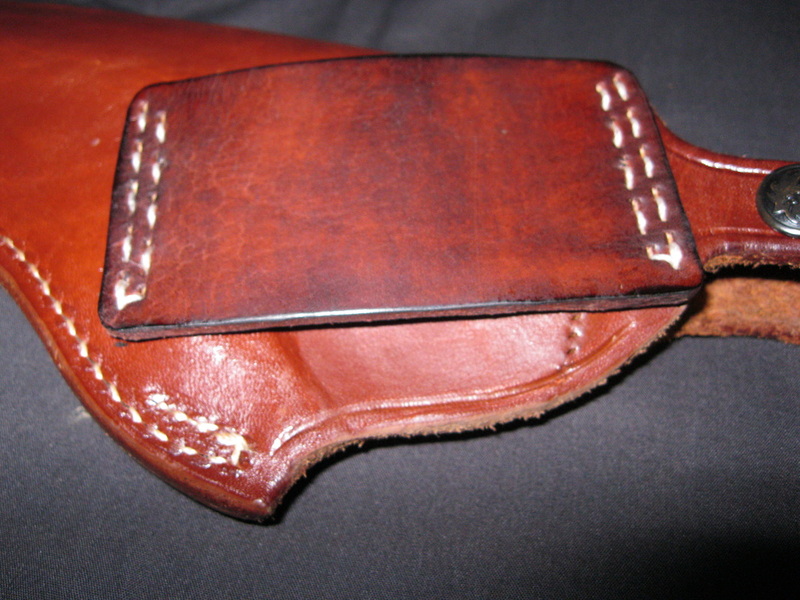 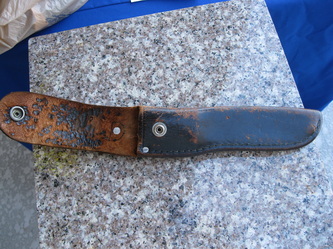 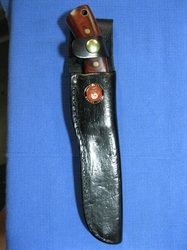 This knife sheath was reconditioned and redesigned to fit a larger, specific knife.